Voice over and commercial producer for over forty years, Bill is the voice for automotive to zoos. 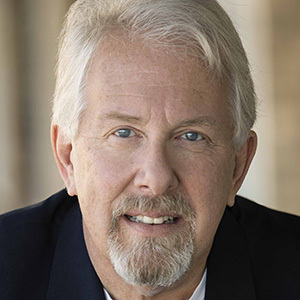 As a narrator, Bill's expertise in medical and scientific terminology keeps him in demand for clients IBM, Boeing, Beckman-Coulter, and Schneider Electric… 75 of the Fortune 100. Bill's announcing skills show up at amusement parks in Osaka and Tokyo, Japan... Anaheim, Hollywood, Santa Monica and San Diego on the US West coast, and New York, Richmond, Orlando and Tampa in the East. Most likely, you’ve already heard Bill on radio and TV ads and programs. His warm storyteller’s voice will have you remembering names like Danny Dark and Mason Adams… a bit of Rod Serling may come to mind when you hear Bill narrate “Most Haunted In America” or “The Phenomenon Files”. Bill is the happy, inviting voice you hear in theme parks around the world with the words “Ladies and Gentlemen, Boys and Girls…” and if you’re being trained for automotive work in Ford, Honda, General Motors, Hyundai/Kia, or Suzuki dealerships, Bill’s “here’s the straight line” voice is there to show you “the ropes.” Bill talks to doctors, dentists, veterinarians, and other medical pros like he’s one of the team… with knowledge and style for sales and training plus new advancements in medicine. And if your travel includes airlines, you’ll hear Bill’s enticing voice talking about destinations and lifestyles in flight. What kind of male voice do you need? H.J. Heinz Co., Santa Catalina Island Co.